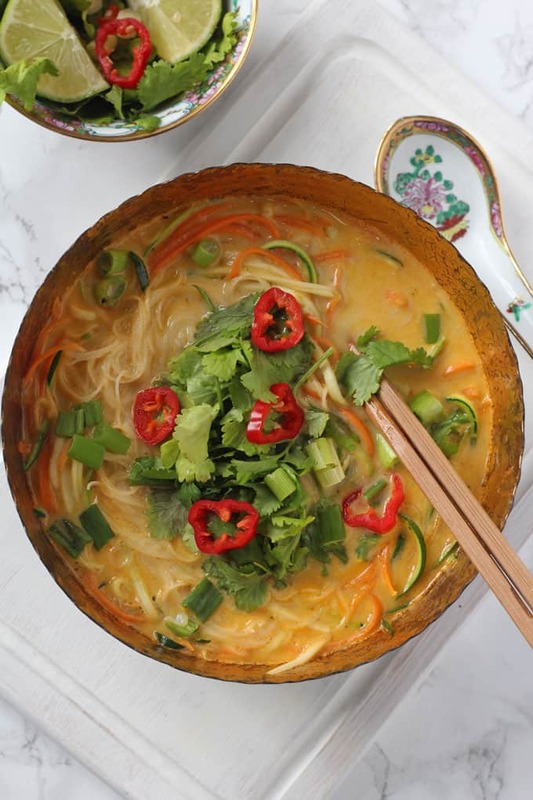 A really quick and easy vegetable laksa recipe, the perfect healthy and delicious lunch for busy parents! So now that half term is over I’m determined to get back on the healthy eating wagon. The past week has been filled with far too many sweets and chocolate… and of course wine! But this week I determined to eat much better and get back out running again. 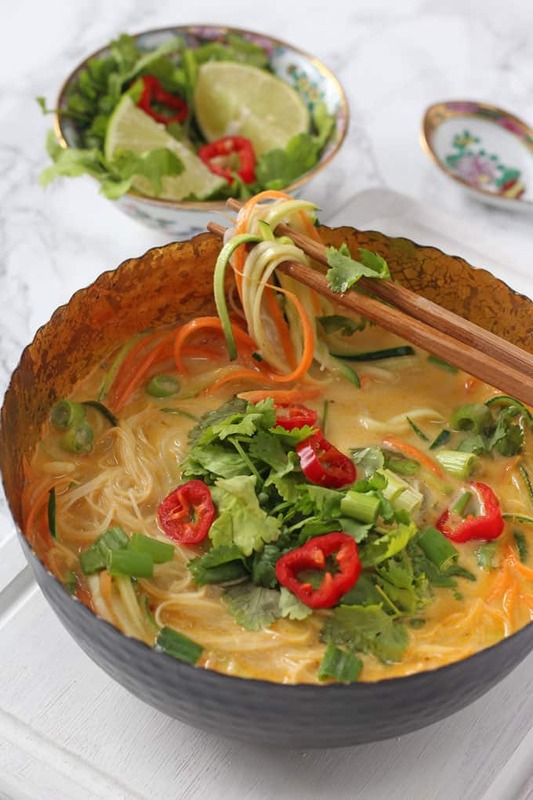 On the menu for lunch today is this delicious but super easy Vegetable Laksa. 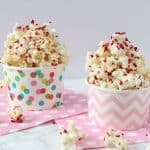 It literally takes just 10 minutes to prep and cook, perfect for busy parents to whip up mid-week. 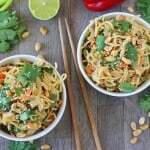 As well as being very healthy, this recipe is super comforting and filling and definitely doesn’t feel like you a depriving yourself. For the base of the soup I used a Laksa Paste. I got mine in Sainsburys but you should be able to find it in most large supermarkets or asian stores. 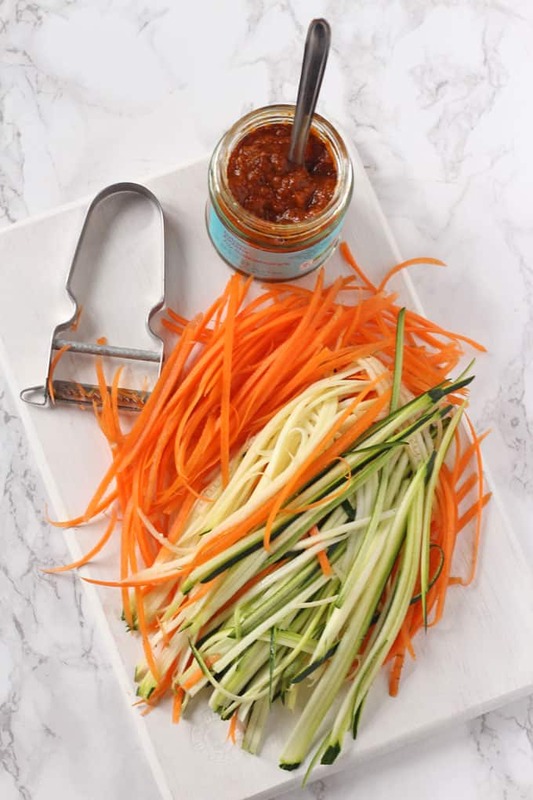 To make the vegetables really quick to cook I sliced them into thin strips with a julienne peeler. You could also use a spiralizer or even a normal vegetable peeler. I used verimicelli rice noodles as they cook in the broth in just a few minutes but those packets of pre-cooked noodles would work well too. 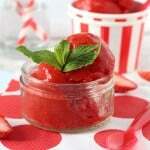 I’ve kept this recipe vegetarian but if you could easily add some cooked chicken or cooked prawns to the dish aswell. To see more of my daily eats and exercise (and to give me a motivation kick if I’m not posting!) follow My Healthy Mama on Instagram. 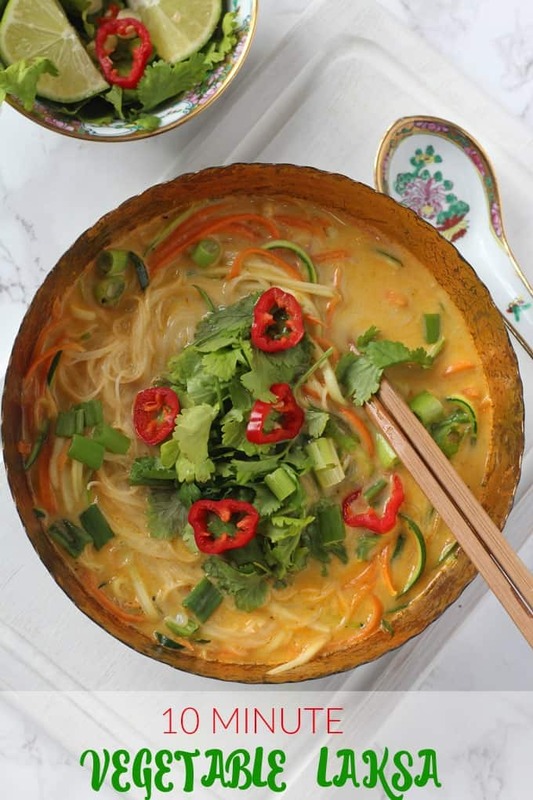 A really quick and easy vegetable laksa recipe, perfect for a healthy and delicious lunch for busy parents! In a large saucepan heat the oil and add the laksa paste. Fry gently for 2 minutes to cook the paste. Add the coconut milk and stock and bring to the boil. Add in the carrot and courgette strips and simmer for another 3 minutes until the vegetables are softening. Finally add the rice noodles and cook for another 2-3 minutes until soft. 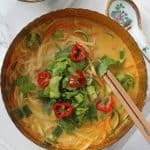 Serve immediately and top with coriander, chopped red chillies and spring onions. Love this! Eo easy and really comforting on a cold day. Is this recipe just for 1 person? Sounds delicious! Just a note, shop bought Laksa paste seems to always include fish sauce & some (Waitrose) even include chicken stock so it is not vegetarian if you are vegetarian or vegan you’ll need to make the paste. Laksa paste is in all supermarket. It is very common. I like the idea, however not sure that where I live there is laksa paste…any idea bow can I replace it?